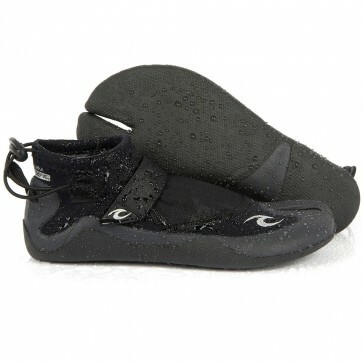 The Rip Curl Reefer Booties are great for warm and cool water, and offer protection for your feet from the rough ground. With a low profile design, a barrel lock closure and a compression strap across the foot, these tropical surf boots are sure to stay snug on your feet while remaining lightweight and comfortable. This item was exactly what I ordered and was shipped to CA within a few days. I received a handwritten note from the Cleanlines crew in the package, which was a great touch. The Cleanlines team even called to clarify what I meant by the special instructions I have left (I was ordering the booties in women's sizes and needed to confirm the correct size, which I found on the sizing chart and it was true to size). 5 star service from Cleanlines, will order from them again.